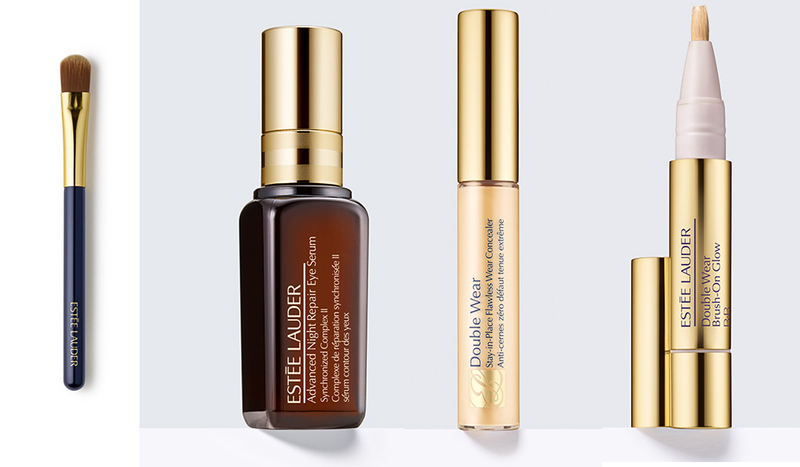 Step Into Spring With Estee Lauder’s 3 Minute Beauty Tutorials! The always-fabulous beauty, skin care products and makeup specialists at Estée Lauder have recently launched their new Spring collection. With a full range of products, there is something in the new collection to fit all of your beauty needs. The modern woman is already busy enough trying to get everything done she needs to in a day. So why should your makeup and beauty routines become a chore as well? Estée Lauder has launched their 3 Minute Beauty tutorials that help you to get those looks you love in an instant using their revamped Spring collection of products. Because really, “3 minutes is all beauty should ever take”- Estée Lauder. So I’ve decided to share with you my favouite beauty tricks from their site! First off, hide those bags under you eyes with the Fatigue Fighter! Fake a full night’s sleep with this antidote for exhausted eyes. Step 1: On back of hand, mix a few drops of hydrating eye creme or serum with a dab of long-wearing concealer. Pat onto undereye area using your ring finger and blend. Apply additional concealer as needed, including inner and outer corners to “open” eyes. Step 2: Glow all the way: Brighten eyes even more with a brush-on illuminator. Draw two “C”s—a small one on the inner corner of the eye, and a larger “C” at the outer corner. Step 3: Tap with finger to blend. Next, make your eyes POP with the Modern Wing! Wing it! This colorful twist on the classic winged liner look is a cinch to execute. Step 1: Apply one coat of mascara to define lashes. Dust a shimmery, neutral shadow all over lids, from lashline to brow. you want the gel eyeliner to go. Add the gel liner on top, and extend it into a wing at the outer corner. Step 3: Use an eye liner brush to layer a vibrant shadow over the gel, following the same line, including the wing.